This recliner will offer you the best comfort you can imagine from a piece that looks like a chair. Dubbed a "high leg recliner", this piece looks like a regular chair to the untrained eye, but actually has a footrest tucked beneath it that is ready to raise up for an increased comfort experience. 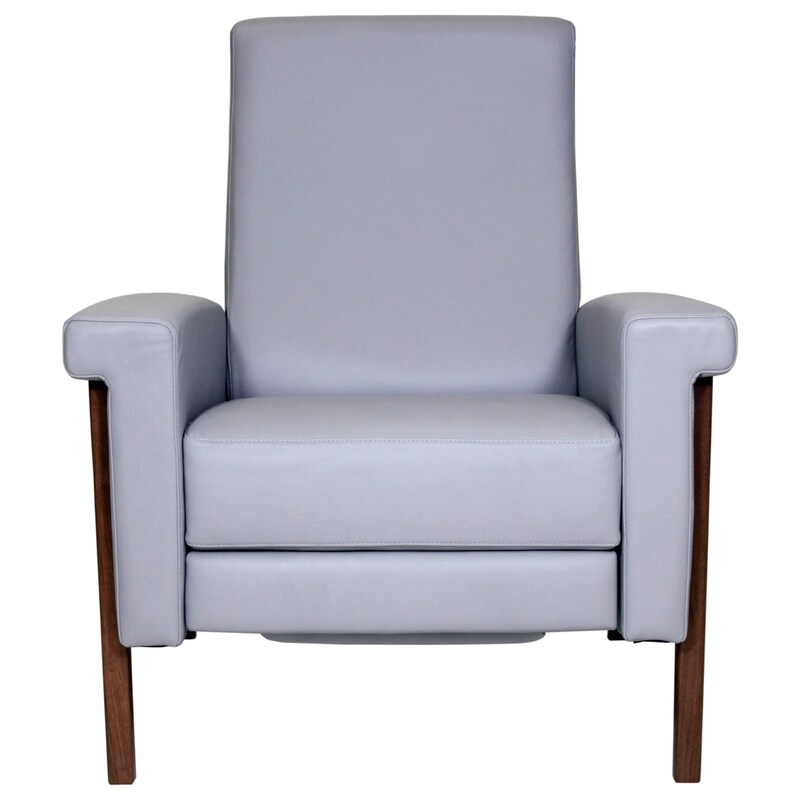 The Quinton High Leg Recliner by American Leather at C. S. Wo & Sons Hawaii in the Hawaii, Honolulu, Oahu, Hawaiian Islands, Waikiki, Diamond Head, East Honolulu area. Product availability may vary. Contact us for the most current availability on this product. Base Description Solid wood legs available in Natural Walnut or Gray Ash. Padding & Ergonomics Premium high-density, high-resiliency foam seat. Tight back and seat cushion. Seat Support Advanced unidirectional suspension system. Warranty Lifetime warranty on frame and suspension.